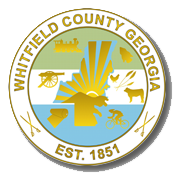 The mission of the Public Relations Department is to inform, educate and involve citizens and employees about Whitfield County projects, policies, and goals, while enhancing the image of our County government. We do this by promoting a culture of open communication and collaboration, to foster exceptional customer service. Mitch Talley serves as a liason between the governments and media. Talley is responsible for writing/distributing all County press releases about upcoming events, happenings and helps with all major projects in the community, such as SPLOST and the Whitfield County Address Location Project. He became communications director in May 2009 after a 33-year career at the Calhoun Times, where he had served as editor since 1991.